STEMarts Lab is proud to announce an exciting new partnership with QuarkNet@UNM in Albuquerque, New Mexico. QuarkNet is an educational program funded by the National Science Foundation and the Department of Energy. 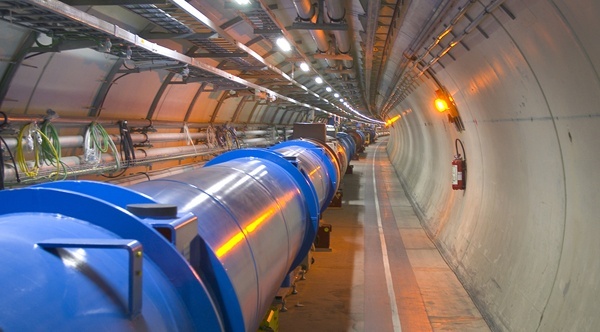 Its aim is to improve science education in high schools by establishing a nation-wide network through which high school science teachers gain experience conducting particle physics research side-by-side with university researchers. Teachers who have research experience often share that experience with students in a way that excites the students about science and gets them involved in classroom investigations of science. The program is administered by Fermi National Accelerator Laboratory (Fermilab, near Chicago, Illinois). The University of New Mexico QuarkNet site is led by Sally Seidel and the physics teachers at Rio Grande High School in Albuquerque. The physics teachers are working with their students to set up a cosmic ray detector on their campus. 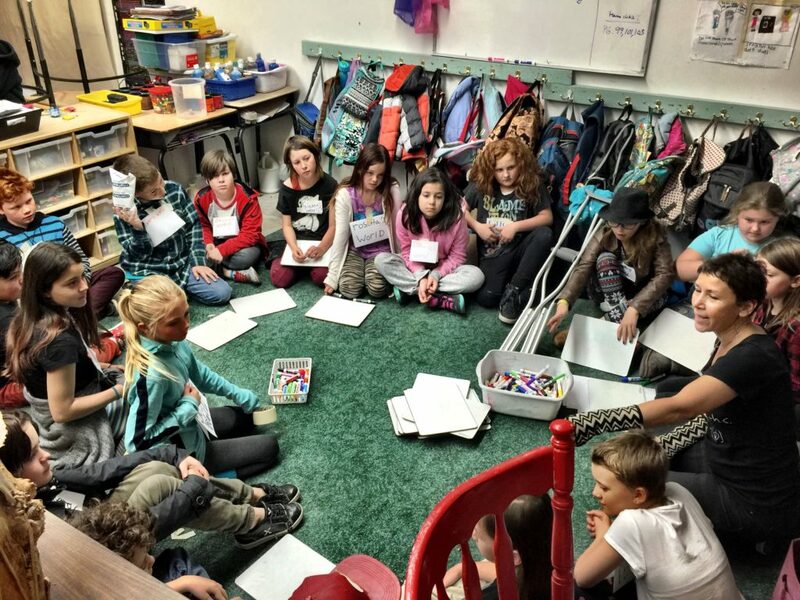 We met Sally Seidel in Taos in March 2015 where she was a guest teacher for the Projecting Particles workshop that we brought to Carla Chavez’s science classroom at Taos High School. The sci-art project was made possible thanks to a partnership with US ATLAS, Harwood Museum of Art Youth Program and Los Alamos National Laboratory Community Outreach Program in conjunction with Agnes Chavez’s interactive physics-inspired installation, Origination Point. Since we did not have a QuarkNet center in New Mexico the National QuarkNet sent Michael Wadness, a high school physics teacher from Medford High School near Boston with a doctorate in science education to lead the exciting International Masterclass. It was Michael who planted the idea that New Mexico should open a QuarkNet chapter. Thankfully Sally responded and we are now embarking on a series of collaborations between Albuquerque and Taos to bring particle physics instruction and research direct from CERN into New Mexico classrooms to inspire our future leaders. 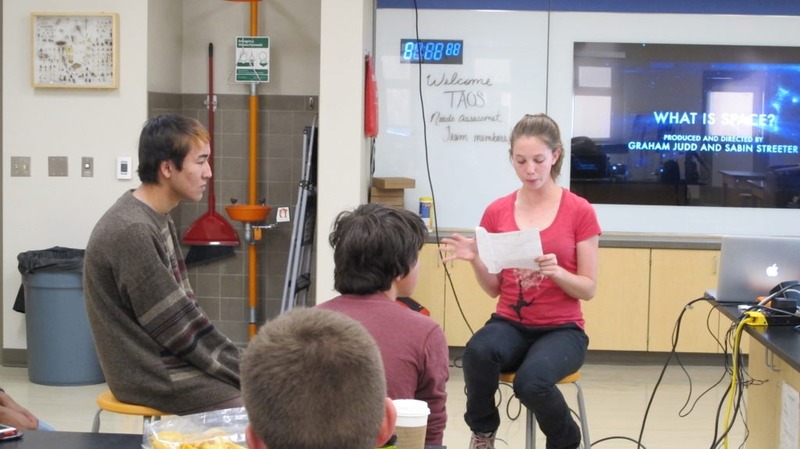 STEAM Lab@TISA will be the pilot school for the QuarkNet-Taos programming this year. Through a partnership established in 2010 with Dr. Steven Goldfarb of ATLAS Experiment@CERN we have delivered a series of Projecting Particles workshops and in 2016 we started a new series called Lakota Cosmology Meets Particle Physics to include indigenous leaders and worldviews in our explorations. Now in 2017 we take what we learned from all these workshops and combine our knowledge to create a series of workshops and classroom activities implemented in one pilot school, the Taos Integrated School of the Arts (TISA). Working across grade levels 4th-8th we will implement and track outcomes with a third party evaluator. The next workshop is scheduled for October and as is the tradition with STEMarts Lab workshops the project will culminate with an experiential projection installation presented by students. Subscribe to our newsletter for the latest updates.